Output level for the delay signal. Switches the Dry signal on and off. Will be build on request. 2 weeks delivery time. This is an analog delay, based on three MN3005 BBD chips. 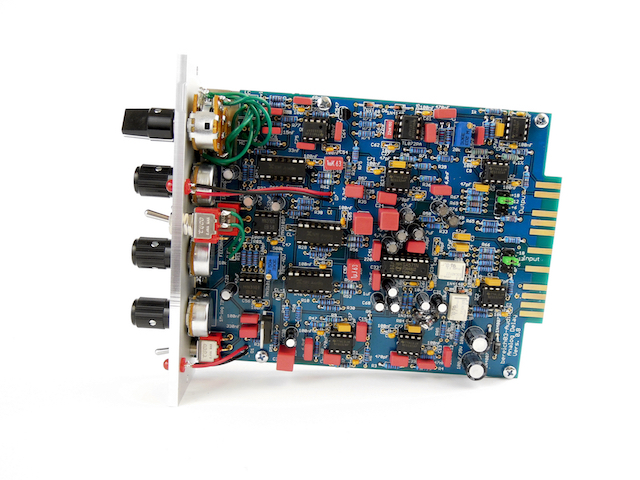 The circuit includes a compander to reduce the noisefloar, a 24dB Anti-Aliasing filter and a 24dB Anti-Clock filter. Additionaly to the delay circuit, there is a adjustable LowCut and a HighCut filter to shape the sound of the delay signal. 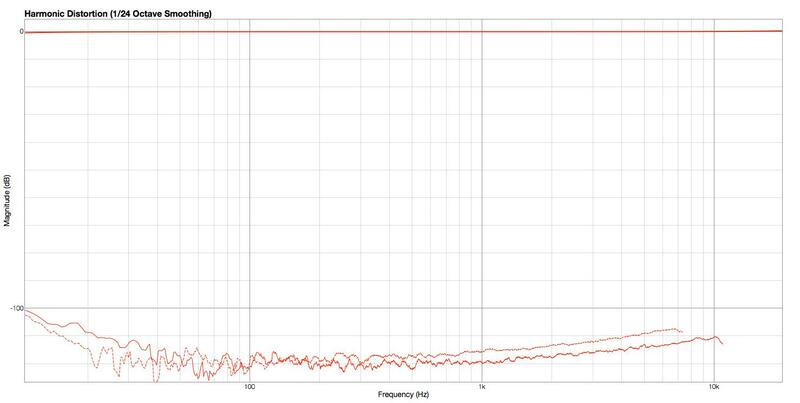 The LowCut goes from 24Hz up to 2,7kHz and the HighCut goes from 5,0kHz down to 75Hz. When you use it as an insert, you should switch the Dry signal on. 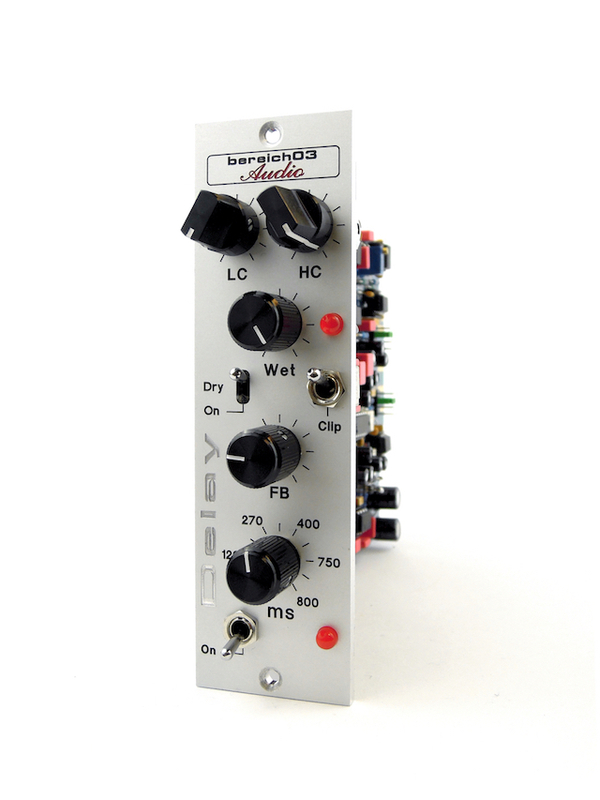 With the Wet controlle you adjust the output level of the delay signal. If you use it on an Aux-bus (analog desk or DAW), you should switch the Dry signal off. So you only have the delay signal on your Aux-return. The clip-switch adds a soft clipper to the delay path. This creates harmonics to the signal, so it's getting even more dirty. The On-Switch in Off (up) cuts only the input of the delay path. This means, if you have a endless feedback going on and you put the switch to off. There will no more sigal go to the delay path, but your feedback is still going on. It is also possible to send only single hits to the delay by switching on and off. Adds a clipper circuit to the delay path. Signal indicator for the delay path.